We had just been skiing the "magic carpet," which is free at our little local ski area, but at the end of the day on Monday we decided to splurge and bought tickets for me and T to ride the lift and try out a real run. Once you've done that, there's no going back. So today, we did a few warm-ups on the Magic Carpet and then hit the chair lift, to the excitement of the more experienced one and the terror of the other (she loved it after approximately 25 seconds). I might be biased, but there is not much in the world that is cuter than a two year old and a four year old in their little helmets and goggles and on their little skis that hardly seem longer than an adult's pair of shoes. And, I'm pretty sure there aren't many better feelings in the world than for a parent's heart to burst with pride at seeing a son or daughter begin to "get" something you love to do. By the end of the day, my little boy was skiing by himself with great comfort and control, and he would occasionally just throw his hands into the air and shout, "Woohoo!" There actually aren't even words in the English language (that I am capable of harnessing, anyway) to describe the joy in my heart when he let out those screams. I'm sure that this is why parents the world over teach their children how to play baseball or chess or fly fishing or how to drive the truck, and why we spend billions of dollars collectively every year taking them to the beach and to Disney World. 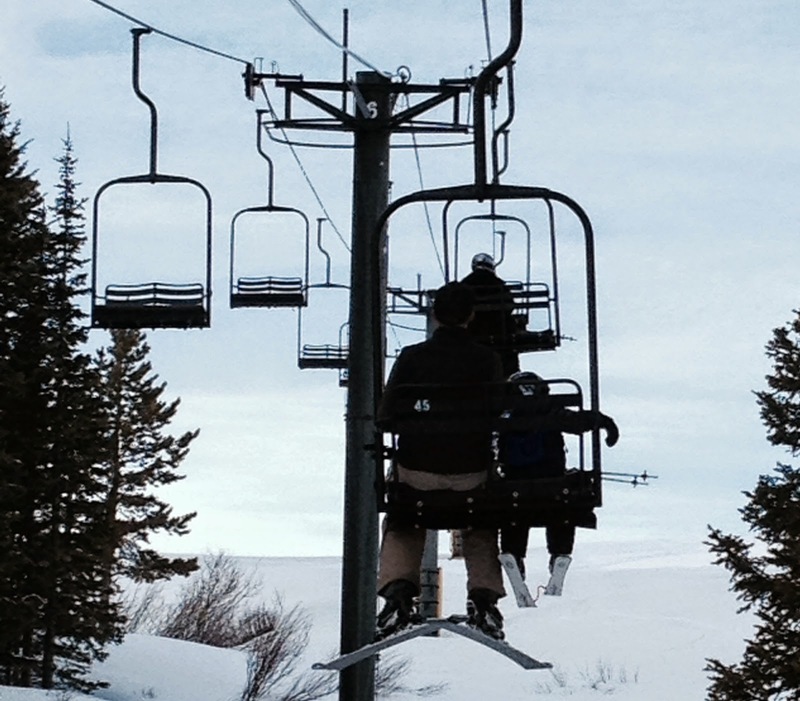 Pardon me if I'm over-spiritualizing my ski day, but do you think our Heavenly Father often feels that way about us? When we take particular delight in something that he has made? Or we master a challenge that has befuddled us? When we use God-given talents coupled with God-given perseverance and enjoy the experience all the more for the effort it entailed? (Trust me, a ski day with a four year old and a two year old involves tears as well as cheers.) What about when we make progress in conquering a besetting sin, even just a little? Our Heavenly Father is up there rooting for you to live with determination, trust, and joy; and I wouldn't be the least surprised if he doesn't occasionally beam with pride when we find our groove doing what he made us to do. Woohoo!